This week, Mitakihara University is celebrating a time-honored tradition on campus: it's Homecoming Week. This year's theme is "Dream Skyward." Ikaruga Saito is this year's Homecoming Chair. 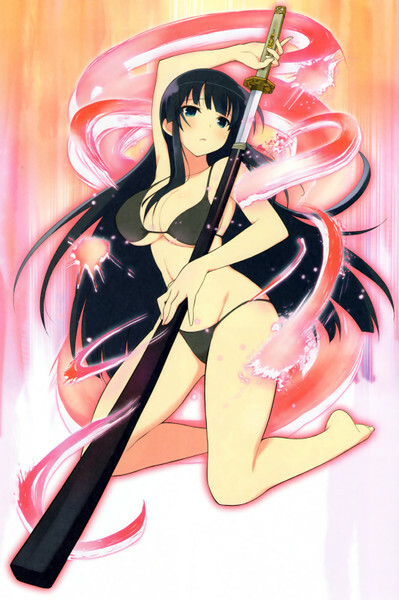 She is a freshman Asian Studies major and is the daughter of Mitakihara University Chancellor Honoka Kaname. 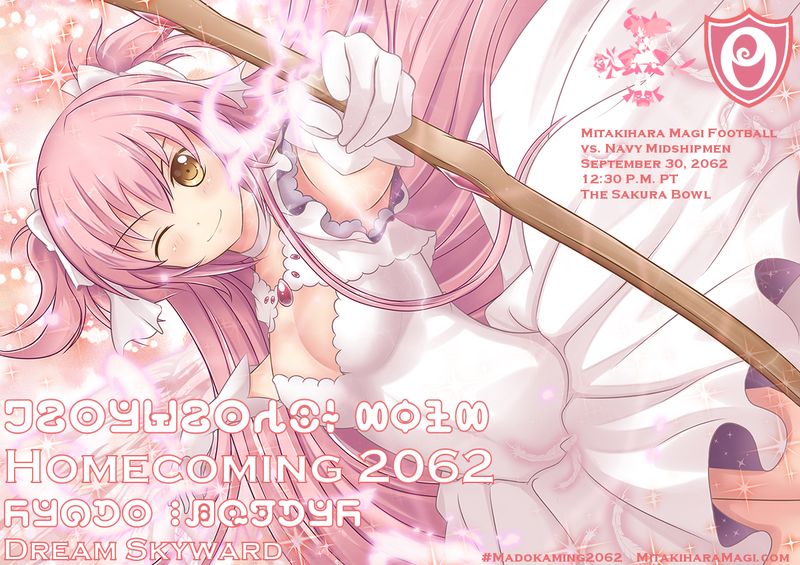 "To Dream Skyward is to aim for the stars and look to the future and the promise it brings for today," said Saito at a promotional event at Madoka Square for Homecoming 2062 hosted by the MadokASI. "Our student must strike to aim higher and go beyond the limits, think outside the box. "When students like myself can raise the standard rethink the ways we do things in this world, society can progress and improve. That's part of the mission that defines Mitakihara University and Homecoming this year salutes the ambition of dreaming skyward." A number of events will take place leading up to the Homecoming Game against the Navy Midshipmen on September 30, 2062 at 12:30 p.m. PT/3:30 p.m. ET. The game will be televised by City, TVA Sports, ESPN, NHK and BBC. Following the Women's Volleyball game vs. British Columbia, the 2062 Mitakihara Magi Football Team will be introduced. Speeches by head coach Tatsuya Kaname, offensive team captain Ray Lyles, defensive team captain Jeremy Ogboshogo, athletic director Nagisa Momoe and university chancellor Honoka Kaname will be made. Pack a picnic and set up a tailgate with your friends prior to the Mitakihara-Navy football game. The Madoka Tailgate Area will be located inside Stade Sakura Bowl Gate 10. Cars can park here for $40, payable on-side. Tailgate is permitted for 2 hours prior to kickoff and for one hour following the game. Cheer on the Mitakihara Magi as they take on the Navy Midshipmen. A block of tickets for Madoka Homecoming is currently reserved through the Mitakihara Athletic Ticket Office. Tickets are required and cost $30 each, children ages 12 and under are free. Tickets can be purchased directly through the Mitakihara Box Office by phone at (250) 4MADOKA or online at the box office website.